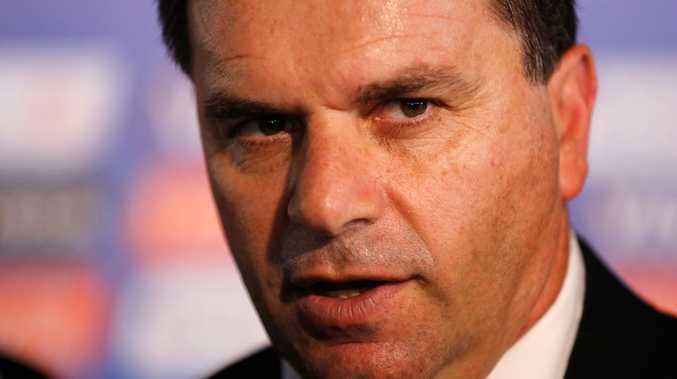 Australia head coach Ange Postecoglou. Photo AAP Image. AUSTRALIA'S worst nightmares have been confirmed, with the team drawn to play reigning world champions Spain and 2010 runners-up The Netherlands, plus highly-ranked South American side Chile in Group B at next year's World Cup in Brazil. The Socceroos' opening match at the tournament will be against Chile in Cuiaba on June 13. Australia's other group matches will be against the Netherlands in Porto Alegre on June 18 and world number one Spain in Curitiba on June 23. Spain shape as the biggest hurdle for the Socceroos of all three opponents. Beating the Netherlands 1-0 in the 2010 World Cup final, the Spaniards have dominated world football in recent years winning the past two editions of the European Championship.